Jann Arden in Montreal or Quebec City? Inform me about the next events for Jann Arden. Enroll yourself to our priority waiting list for Jann Arden to be alerted when new tickets are available. Filling this form doesn't engage you to any purchase. Jann Arden will be performing in Montreal on March 14th, 2012, at L'Olympia. 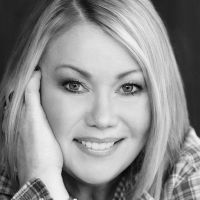 Judge for the Canada Sings TV show and CBC radio host, Jann Arden has been in the spotlight for the past 2 years or so. Her new album, Undercover Me 2, was released on November 1st, 2011. Just like its predecessor of the same name, Undercover Me, it contains covers from various artists.